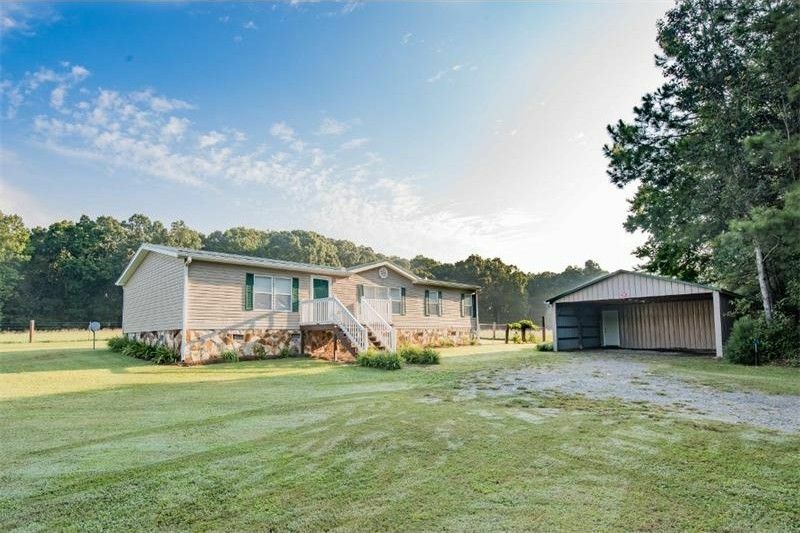 2.5 BEAUTIFUL ACRES, FENCED PASTURE AREA & DOUBLE ROAD FRONTAGE, METICULOUSLY MAINTAINED ONE OWNER MOBILE HOME, GORGEOUS COVERED PORCH, 2 CAR GARAGE AND WORKSHOP! Beautiful setting, home sits well off the road. Open floor plan with natural light and large family room. HUGE kitchen with a wonderful breakfast bar, even a desk area! Separate dining room. Large master bedroom with walk in closet, spacious master bath with double vanities and counters, garden tub and separate shower. Split bedroom plan. 3 bed/2 bath. Workshop behind garage has power. Alarm system. Directions: From I 20 West, Exit 9 Waco. Turn left at end of ramp at stop sign. Go over I 20 and turn at first right which is Buncombe Waco. Home is on right.